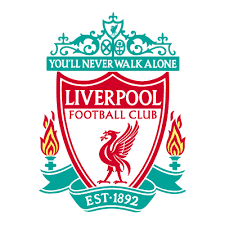 Liverpool FC won their final warm-up game against Athletico Bilbao 3-1 on the weekend and made some good progress in the summer warm-up campaigns. Some bad news for Adam Lallana who is out for 2 months with a hamstring strain, his role looks increasingly more significant especially if Coutinio leaves this summer. Dominic Solanke He has made a big impact Solanke hasn’t looked back, looking comfortable leading the line and is going to provide real competition for Sturridge and Origi. Mohamed Salah The Egyptian winger arrived at Anfield a club record deal and has pace to burn, Salah has adapted to Jurgen Klopp’s tactics offensively and whats important for the Reds is, he has settled in superbly, however, scoring four goals in the process. Liverpool attacking midfielder Philippe Coutinho, 25, would like to move to Barcelona if a deal can be done amicably with his club. Barcelona will offer Liverpool £120m for Coutinho following the sale of his compatriot Neymar, 25, to PSG. Barcelona will face competition from Paris St-Germain for the Brazil international’s signature with the Ligue 1 club ready to bid £100m for the player. If the rumour mill is to be believed the sale is a matter of hours away from completion. Despite Liverpool boss Jurgen Klopp saying Coutinho will not be sold, Barcelona are increasingly confident of finalising a deal this week – potentially for £90m. Liverpool have sent scouts out to Europe to find a potential replacement for Coutinho. Liverpool manager Klopp is prepared to give up his pursuit of Southampton and Netherlands defender Virgil van Dijk, 26, and put his trust in his current centre-backs. Liverpool want to sign Monaco’s 21-year-old France winger Thomas Lemar and still have an interest in a few other additions that Klopp would like to bolster his squad. Liverpool will face German side Hoffenheim for a place in the Champions League group stage.